Some planes you just never get tired of watching in the sky, especially when it’s as shiny as this one! Amazing sounds that tickles your spine as the tips of the propeller starts exceeding the speed of sound! Not to mention the sound of the Pratt & Whitney engine! This beauty was built in 1944 and sports the Pratt & Whitney R-1340 Wasp 600bhp engine. 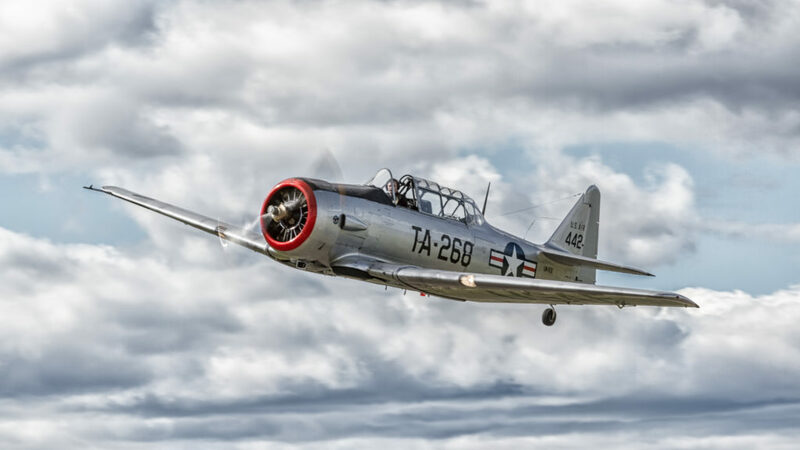 It’s a fantastic plane to watch, and it’s operated by Warbirds of Norway. If you ever have a chance to see and listen to this one, then grab it. It’s always a great experience, and I love that I get to watch this one every year!